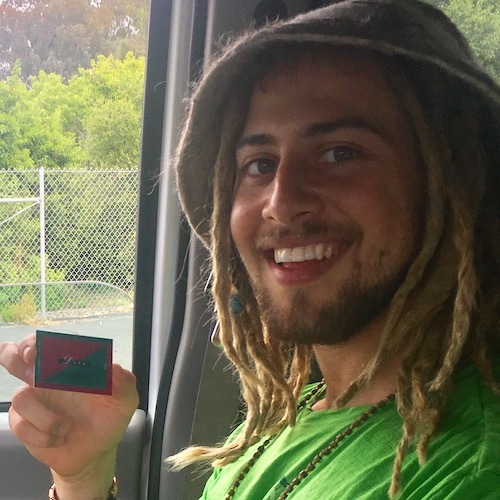 Inspired by nature and living his authentic truth, Carter Lipnick created his own major in college, “Spiritual Dimensions of Environmental Interactions.” Carter’s spirituality is grounded in his energy healing practice, which is rooted in Kabbalah & the Kabbalistic Tree of Life. Carter went on to work with Essential Oil Wizardry and dive deeply into the world of plant medicine. His collaboration with EOW informs the way he lives his everyday life, incorporating plant medicines into his practice. The Essential Oil Wizardry playshop is a multi-sensory, fully synesthetic experience. Playshops are perfect for beginners, while providing an enriching experience for EO aficionados. We will share alchemical botanical essence blends, vaporize different EOs, discuss daily uses, sacred anointing, explore the therapeutic value of several EOs, and discuss methods of application. In the context of Energy Healing and working with Kabbalistic principles, we will discuss what it means to be a spiritual being having a human experience and how one may tap into their Buddhahood. We will understand what an energetic blockage is and be empowered with how to address it. We will cover scanning, muscle testing, clearning blocks, pendulums, grounding, energy healing & essential oils, The Kabbalistic Tree of Life & how it applies to YOU plus a Tantric Kabbalistic Meditation.